Srsly, did you really just twerk while taking a selfie? OMG what a n00b. Epic Fail. What’s crazy about the sentences above is that they are no longer just strange artifacts of the Internet. Sure, the “selfie”, as Dave Parrack described 5 Things To Avoid When Taking Selfies 5 Things To Avoid When Taking Selfies Selfies shouldn’t be taken lightly, and there are many things you need to avoid. Read More , is forever a part of the Oxford Dictionary. Quite honestly though, there are many words that have crossed over from the community of the Internet into everyday life. James even took some time to explain what a bunch of those odd Internet words Those Crazy Web Words And Phrases Explained Those Crazy Web Words And Phrases Explained There have been more new words invented in the last decade than ever all thanks to this new fangled "internet" thing. It's easy to see how us old folks - and by old I mean... Read More mean. It’s amazing to see how Internet words are having such a tremendous impact on the English language, even with people who aren’t necessarily heavy Internet users. In this post, I plan to go back in time and observe just how many tech words from the past have infiltrated the English language permanently. Whether it’s Twitter, Facebook, Ebay, Google, or just about any other huge community of people on the Internet, you’re bound to develop some lingo that refers to things that specifically apply to that community. At Ebay 11 Critical Tips on How to Sell More on eBay 11 Critical Tips on How to Sell More on eBay eBay is one of the top online shopping sites. You may be a seasoned seller on eBay, or you may have just started with your eBay seller career, these tips can help boost your profits. Read More , as just one example, you’ve got powersellers, dutch auctions, reserves, shill bids, sniping and all sorts of other odd terms you’ll never need to know unless you are an Ebayer. The magic starts when the community grows so large that it encompasses a large majority of the real-world population, and when the terms can apply to things in your daily life. This actually started with the advent of computers themselves. When computers were first invented and at the beginning of their growth, it was only a very small subset of the population who were trained on it and understood computer lingo. File transfers, communication protocols, and processing capabilities were niche, very specialized topics. However, as the personal computer became small and affordable and started to enter into every home, suddenly more people started using certain computer terms, and they gradually made their way into mainstream lexicon. Suddenly, throughout the 1990’s and after 2000, you started hearing people making interesting comments utilizing what was formerly only computer lingo. You started hearing “let’s take it offline“, or references to poorly executed fixes (even non-computer related) got popularized as a “hack“. Once people started emailing and instant messaging, that escalated the proliferation of tech terms in common language, with comments like “so, ping me some time!” or “surfing” the web. You initially had a word like surfing, which really had only one, very specific definition — the sport of riding the waves with a surf board. Then, technology provided another way to use that word with the advent of the web browser. Viewing the vast quantity of information available through that portal became an act of “surfing” that vast ocean of information. Most dictionaries now contain both definitions for “surfing”. Although, to be fair, TV could have contributed as well — ala “channel-surfing”. In 1998, Tom Hanks and Meg Ryan helped the world fully understand what AOL meant when its digitized voice announced, “You’ve got mail”. It wasn’t talking about the mail at your post office. The technology of instant chatting with mobile devices and with PCs over the Internet launched a whole litany of crazy acronyms Chat Slang: Online Chat Slang Dictionary Chat Slang: Online Chat Slang Dictionary Read More . At the start, those were really only used primarily by early users who contributed heavily to the formation of the vast chat lingo that now exists today. However, as mobile phones proliferated and everyone started texting one another, words like OMG, LOL, and ROFL quickly became a part of common language. Walk through the mall on a Saturday evening and let me know how many times you hear someone say “O-M-G”, you’ll be surprised. Aside from all of the BFF‘s and LOL‘s you hear, nothing could surprise the world more than the introduction of the term “sexting” to the mainstream — thanks in large part to the indiscretions of various politicians and other public figures who didn’t quite have a handle on the concept of mobile phone security. Yes, sexting is a dictionary term. The advent of social networking sent the use of technical geek-speak in colloquial usage to a whole new level. Thanks to Twitter, you’ve got people talking about tweeting local news and following each other. Can you imagine saying that you’d be “tweeting” something back in the 1980’s? People would have thought you’d officially lost your mind. Who knows, maybe we all have lost our minds, with all of our mentions and sharing. Remember when sharing meant not hogging the Halloween candy? Giving someone a mention meant not hogging the credit for successful projects at work. How on Earth did Twitter manage to completely turn the meaning of these words upside down? Then you’ve got Facebook. Wow, don’t get me started on Facebook. You can’t like anything these days without people wondering whether or not you’re posting it to your Facebook wall. You can’t be a friend without friending them (or else you’re not really a friend, are you). And poking. Why on Earth did they ever invent poking? Poking on Facebook is just as annoying — or maybe even more annoying — than real life poking! Speaking of annoying, if I hear one more person say “hashtag” before a word during a real-world conversation, I think I might just poke out their eyes. Poking, liking, friending, sharing, trolling, and viral — all words transformed by the invention of these new Internet entities that have changed our lives and transformed our world. It’s a bit awesome to consider isn’t it? 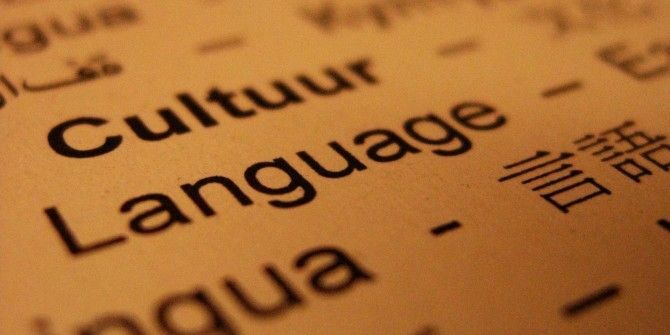 It isn’t just social networks that are changing our language, it’s the vast Internet itself. It’s the rise of technology in every home. It’s the migration of wired Internet to wireless, the transformation from a desktop PC to mobile devices all throughout the house. It’s more people realizing that they need to learn about all this stuff, or miss out on the newest things that technology has to offer. So now, more people than ever before are talking about the fear they have of bricking devices. People are sharing their gaming handles. People are Googling for answers (yes, Merriam-Webster has “Googling” defined, I checked). Forums brought us “flaming” and trolling”. Reddit brought us TL;DR (too long, didn’t read). The general web transformed or created phrases like “epic fail”, “faceplant”, and “crowdsourcing”. And these are just the tip of the iceberg. The Internet has not only connected everyone around the world, but it has provided us with brand new opportunities — as global communities — to develop our own unique lingo to describe new and fascinating technologies. In doing so we are all, collectively, evolving the English language in ways that the world has rarely seen at such a rapid pace. Let it never be said that these are not interesting times in which we live. Interesting. However, I don't really like how chatting slang invades our daily conversation. I use abbreviations and the like while chatting, but I try to keep away from them when I am actually talking. It sounds unnatural. A good trip down the memory lane for me. I can't imagine what words we used in the conversations among my friends 15 years back. Just because the topic is about words (and definitely not trying to be a grammar nazi), Ryan, isn't it "iceberg" and not iceburg? True :) Two real life examples of the FB effect & Windows effect. Me -- Dude, seems iPad they have on sale is not the latest model. You sure about your choice? Mr. Dube, your fascinating article got me to thinking about how easy it is for us to just accept these changes and weave them into our own lives. While I have often been forced to "do the google" to find out the meaning of a term, changes in language add color and depth to our discussions. I like it! (and not via FB, either). I also appreciate the links you provided to further delve into this subject. Ain't it grand the way the internet can drag one down a maze of information alleys, with each of those doors in the alley hiding a surprise? Before I realize it, I've spent three hours and learned a ton of mostly useless stuff! Thank for for the article and for unlocking that alley door. Glitch long predates the internet. The OED defines it as "A surge of current or a spurious electrical signal; also, in extended use, a sudden short-lived irregularity in behaviour. A hitch or snag; a malfunction". The earliest quote in the OED is astronaut John Glenn in 1962. None of the words mentioned above originated from the Internet - the point is how the Internet has changed the meaning and transformed the use of existing English words (or yes, in some cases created entirely new ones). With that said - I did imply the word "glitch" originated from the world of gaming, rather than received a second surge of use, which is what I actually intended. so you filled the article with BIG pictures. How about telling us something we don't know. But the whole point is to reflect back upon the things we do know (but maybe a few others reading this don't) about the history of how language has been transformed by the Internet.